In all honesty, we played around with our daily rhythm a bit for September. we’ve had to reestablish our routine. You may take a look at Our School Day Schedule to get a gist of how are days flow. in which they often find things to do together. Katie (13) has taken to helping one of her younger brothers write a book, one chapter at a time. Andrew (10), who is overcoming dysgraphia (lack of hand coordination) often has endless stories to tell, but rarely could get it all out on paper, thus sister began to encourage his thoughts and creativity by being his hands for him. I’m pretty proud of them both. 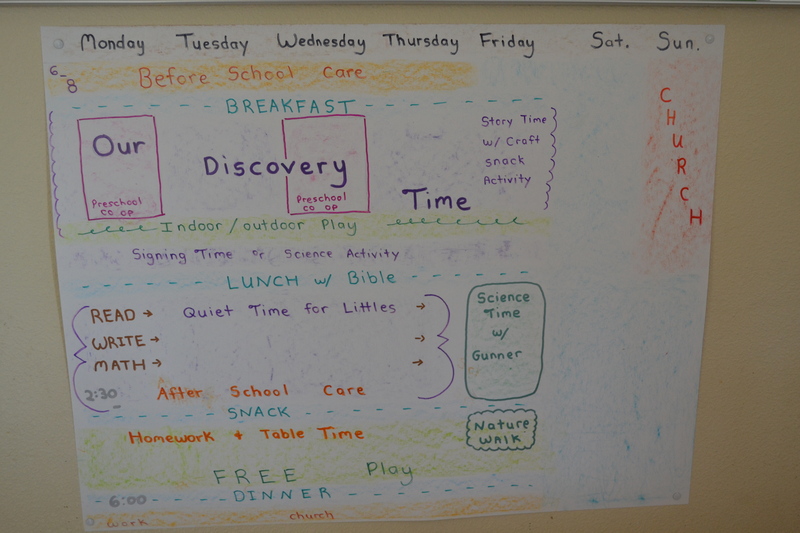 Other activities during this free time is outdoor play, board games, playing battle, and exploring self-led interests. Fridays have been fun for adding field trips and fine art projects. 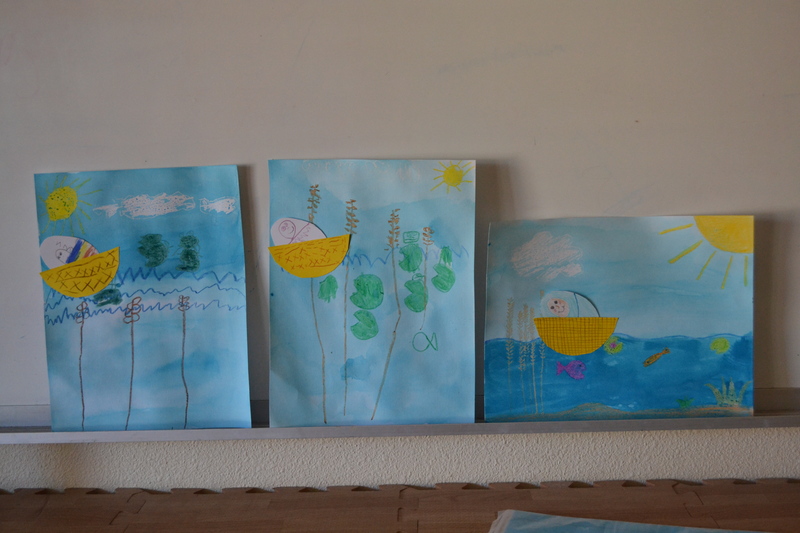 we did a color resist project with water colors. Another week we explored the 10 plagues. 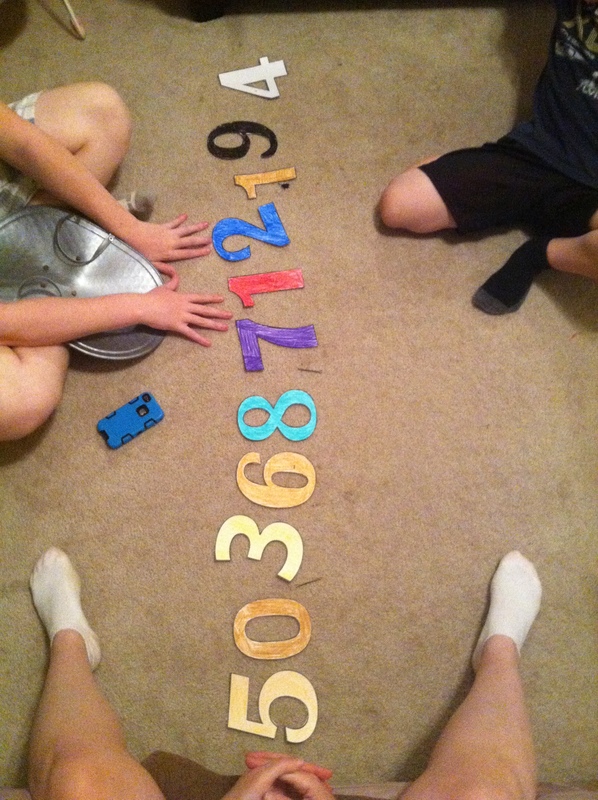 we all got sidetracked playing with the numbers. My younger boys seem to have a slower time connecting place value in mathematical equations, but after learning how to read really big numbers (to the billions), they enjoy it much more. I love “ah ha” moments. We began Exodus late in the month and expect to probably take the whole month of October to finish it. Moses had quite the journey! The changes of Autumn with a bonus early field trip to a local pumpkin patch. Frankly? to finish up some books that should be done by now. Getting ready to issue the next book for the month of October. Long A sounds such as with the ~ay, ~ey, ~eigh sounds; as in hay, whey, neigh. The kids quickly recognize that the most common use is the ~ay. bonus points; learning the i before e rule while learning the long a/”eigh” sound. We wrapped up our penmanship review and will begin our writing structure for October. Oh how I miss my days of homeschooling! But, dear daughter-in-law has started homeschooling preschool for our oldest grandson. And, since they live in our downstairs apartment, Nana gets a peak into their homeschooling days. How blessed I am to see the joy of homeschooling being passed on to the next generation!